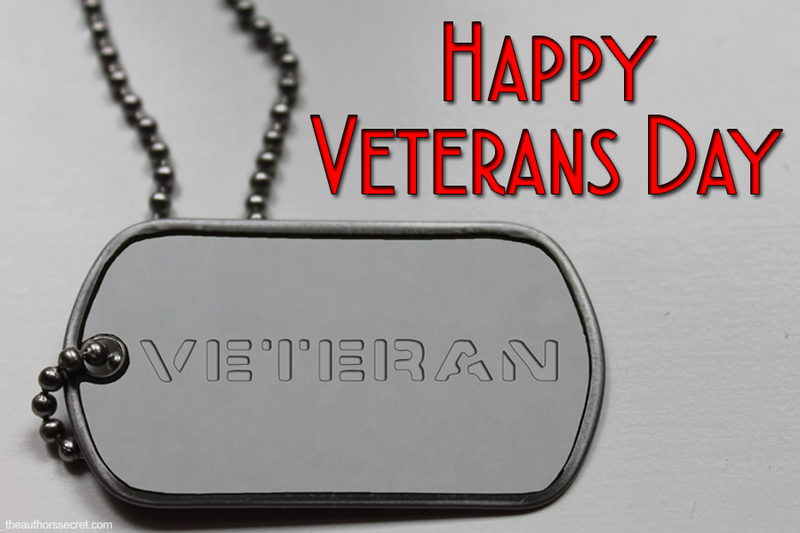 Author Veterans are authors (or writers) who served in the military. We celebrate their dedication and thank them for serving. Veterans Day is always celebrated on November 11th. The first celebration was held on November 11, 1919. This was the first anniversary of WWI ending. In 1926, Congress passed a resolution to make this date an annual observance and it became a national holiday in 1938. The current name came about in order to honor all who served as well as those who died fighting. The change was legislated in 1954 by President Eisenhower. Today we give special honor to the living and deceased servicemen and servicewomen and to the civilians that support them. This Salute to Author Veterans shows authors (published or not) who are veterans. It consists of the author’s name, branch of service, writing brand, and one link. Click to learn more about the author, his or her books, and to find or follow them on social media. This Salute to Author Veterans shows authors (published or not) who are veterans. It consists of the author’s name, branch of service, writing brand, and one link. Click to learn more about the author, their books, and to find or follow them on social media. Authors are listed in alphabetical order by first name. Blast off to fun and adventure! Inappropriate humor mixed with creative science fiction. Stories to turn in your imagination. Fast and fun mysteries, with heart. And robots. Megan Westfield writes adventure-sport romances set in beautiful, wild locations. Where the fantasy is always epic and the romance is always sweet. Journey into romance…love always follows. Author Veterans are authors (or writers) who served in the military. We celebrate their dedication and thank them for serving proudly. This day was originally Armistice Day, November 11, 1918. After WW1, which was the war to end all wars, Dwight D Eisenhower wrote, “It is my earnest hope that all veterans, their organizations, and the entire citizenry will join hands to ensure proper and widespread observance of this day.” Today we give special honor to the living and deceased servicemen and servicewomen and to the civilians that support them. Authors are listed in alphabetical order by last name. Veterans who served outside the USA are listed in Special Mentions. Authors who are also veterans are invited to join this list. Fill out the form and I will contact you prior to the next update. You don’t have to be in the US military to be added. Authors are listed in alphabetical order by last name. of service. Most of the names listed here are female, but not all. Look for the hashtag #FemaleVeteran on Twitter, and you’ll learn a great deal about support for returning female veterans. (CWV) was established by Congress in November 1994 by Public Law (P.L.) 103-446.
and programs for women Veterans. to find or follow the author on social media. This is the fourth year for the salute. For info on how you can take part, see the info at the end. clicking here: I’m a Veteran! We’ll include you on this page and in future salutes to veterans. tribute. Click Salute to Author Veterans in the header of the site. to find or follow them on social media. Listed in alphabetical order by first name. Are you an author and a veteran? Fill in your info by clicking here: I’m a Veteran! We’ll include you on this page and in future salutes to veterans.